We believe in Jesus Christ, his only Son, our Lord. He was conceived by the power of the Holy Spirit and born of the Virgin Mary. He suffered under Pontius Pilate, was crucified, died, and was buried. He descended into hell. On the third day he rose again. He ascended into heaven and is seated at the right hand of the Father. He will come again to judge the living and the dead. Welcome To The New Saint Francis Xavier Sallisaw Website. 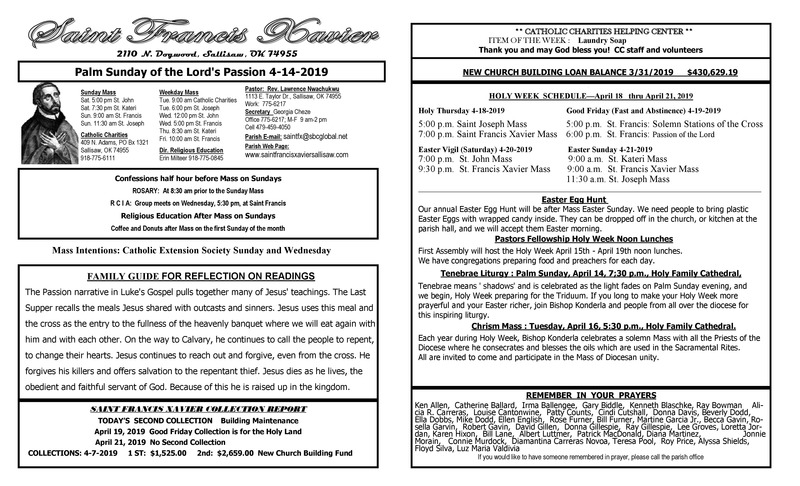 Our Mass Schedule for the upcoming 7 days is now available along with our weekly bulletin. 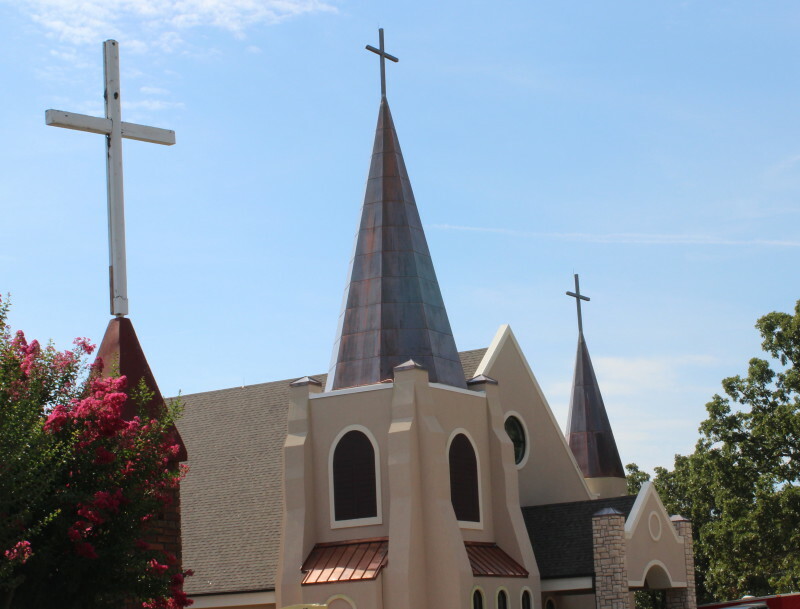 You will also find information about our Faith in our Education, and Sacraments sections. Rev. Fr. Lawrence Nwachukwu is a Roman Catholic Priest and belongs to the Catholic Archdiocese of Owerri, Imo State in Eastern Nigeria. He was ordained on the 24th of July 1999. 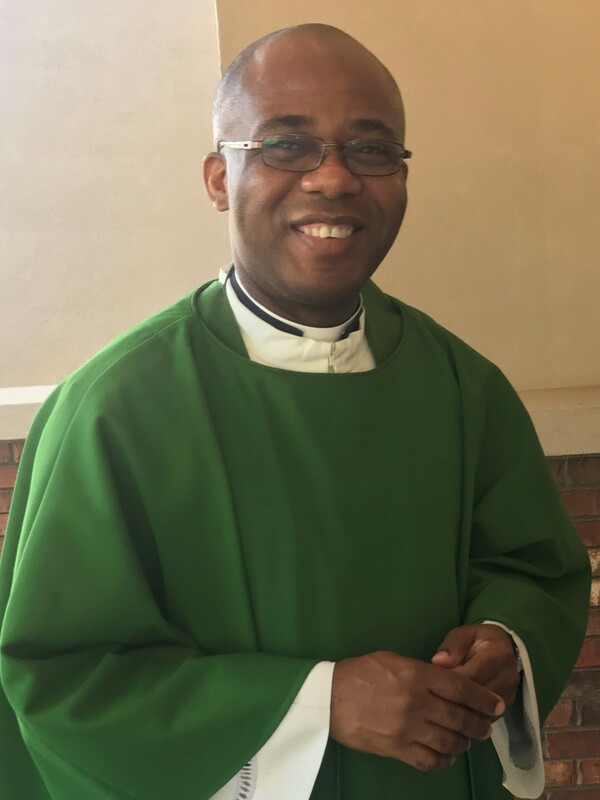 After his ordination, he served as the Assistant Secretary to the Archbishop of Owerri and taught in the Minor Seminary for some years before proceeding to Rome, Italy for further studies. He studied at the Pontifical Lateran University, Rome and specialized in Patristic Theology and Ecclesiastical History in Antiquity. After his studies in Rome, he lectured for several years in the provincial major seminary in his diocese, the Seat of Wisdom Seminary Owerri. He just finished his tenure as the Vice Rector of the Seminary before coming to the diocese of Tulsa in April 2017 for Pastoral Ministry. Before coming to the diocese of Tulsa, he has done pastoral work in Nigeria, Italy, Austria, Germany and the United Kingdom. We welcome him to our Parish!